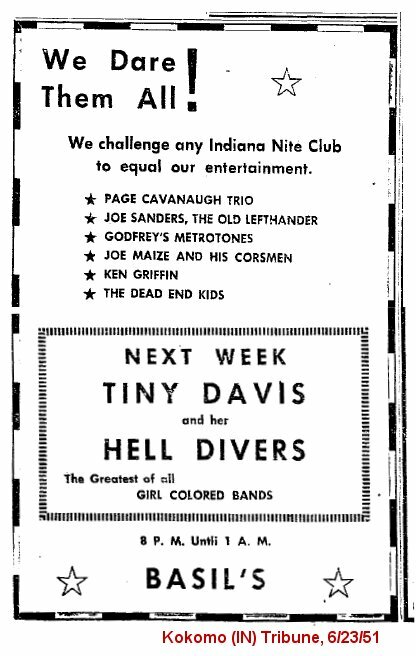 Ya gotta love a woman who names her band the Hell Divers. 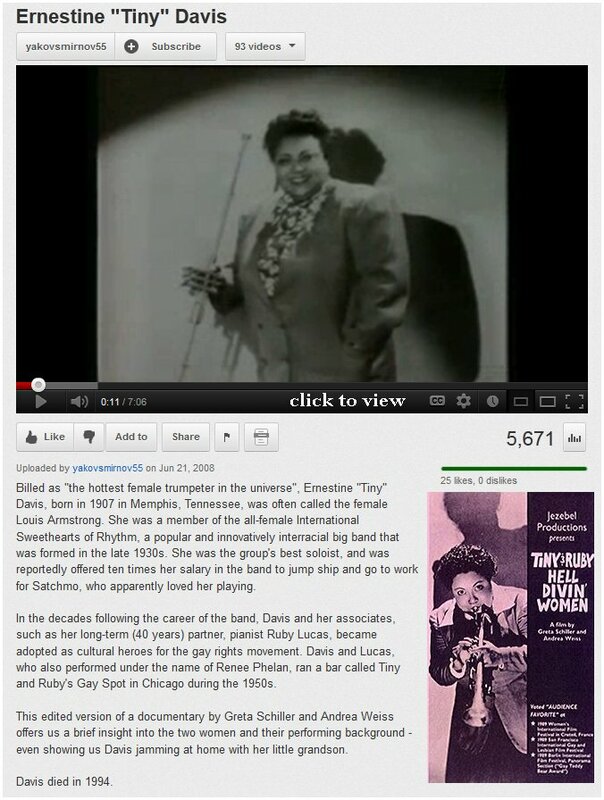 But that's just a delicious morsel of her musical history. 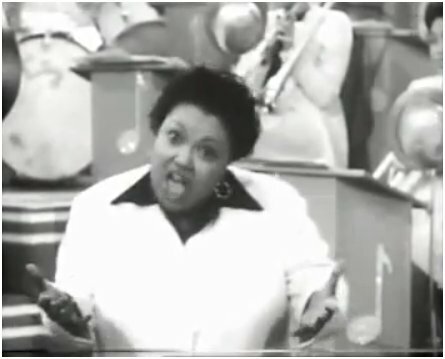 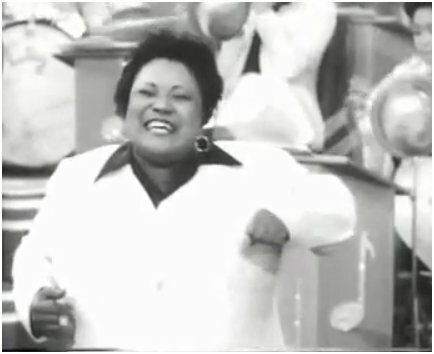 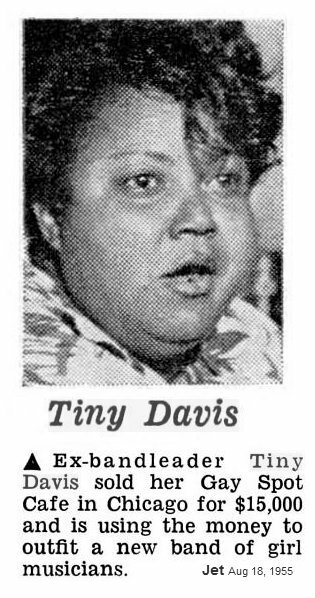 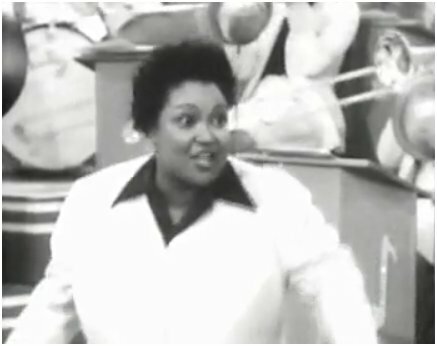 That was Ernestine "Tiny" Davis. 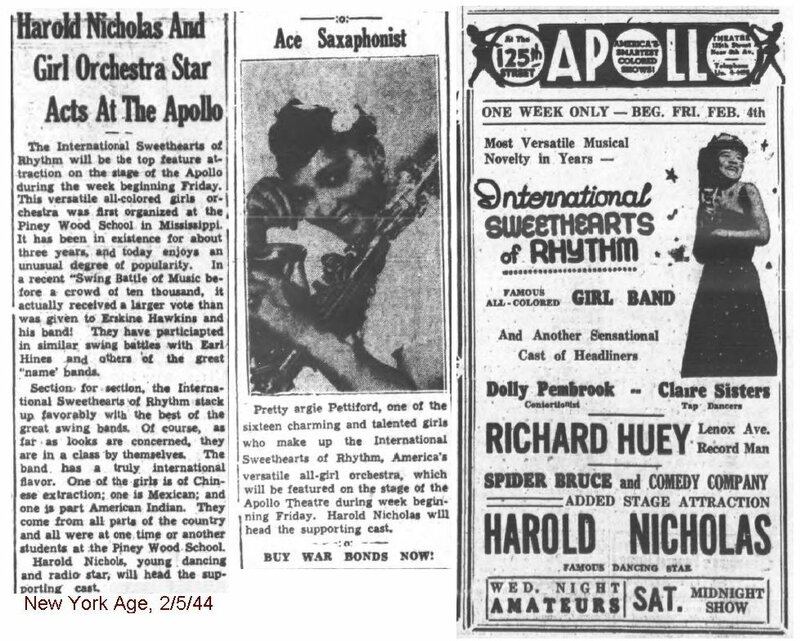 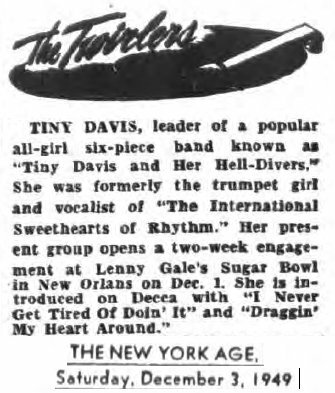 She was popular as both a trumpet player and vocalist beginning in the early 1940s, when she joined the band The International Sweethearts of Rhythm. 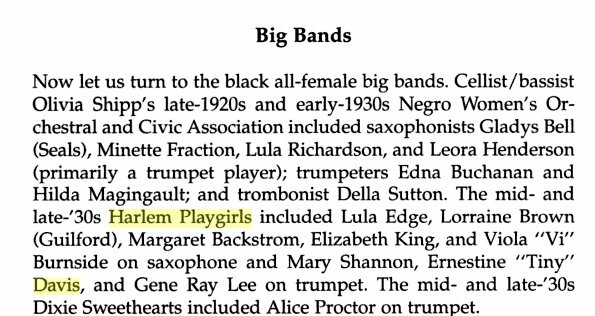 Big bands were popular during the war years and as there was a shortage of male bands that female band was formed. 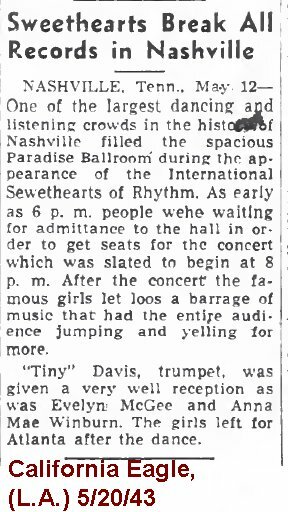 And it was extremely successful, packing houses until it chose to disband in 1948. 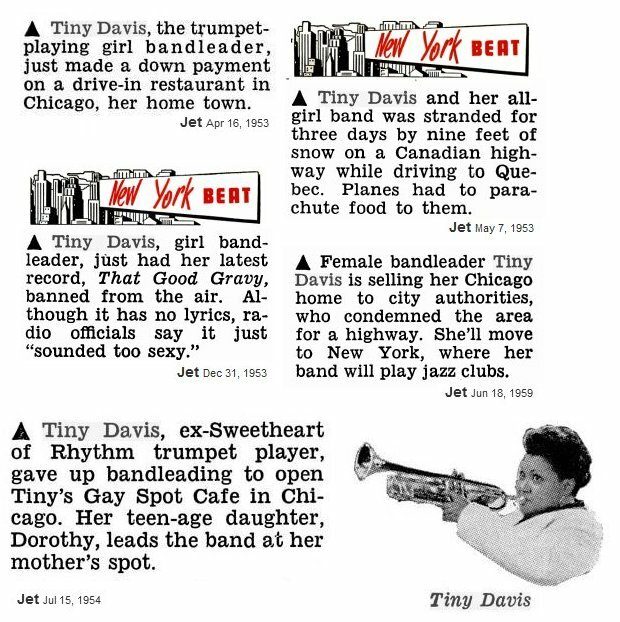 At one point Louis Armstrong tried to hire Tiny Davis away from the Sweethearts, offering her ten times the pay, but she just wouldn't leave her girls. 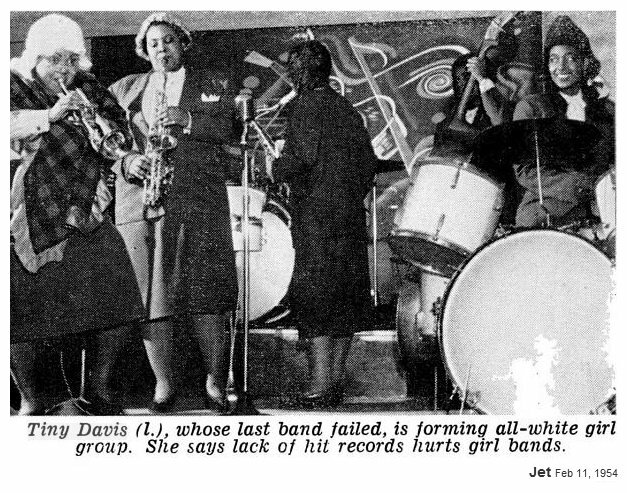 One of her girls was the drummer, Ruby Lucas, and they were partners for 40 years. 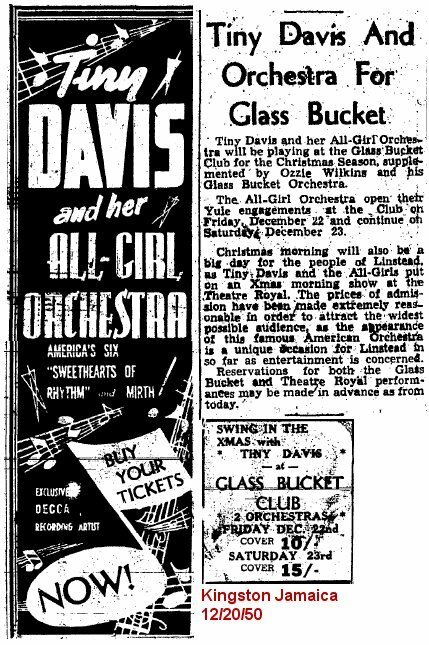 But that glossed over a lot. 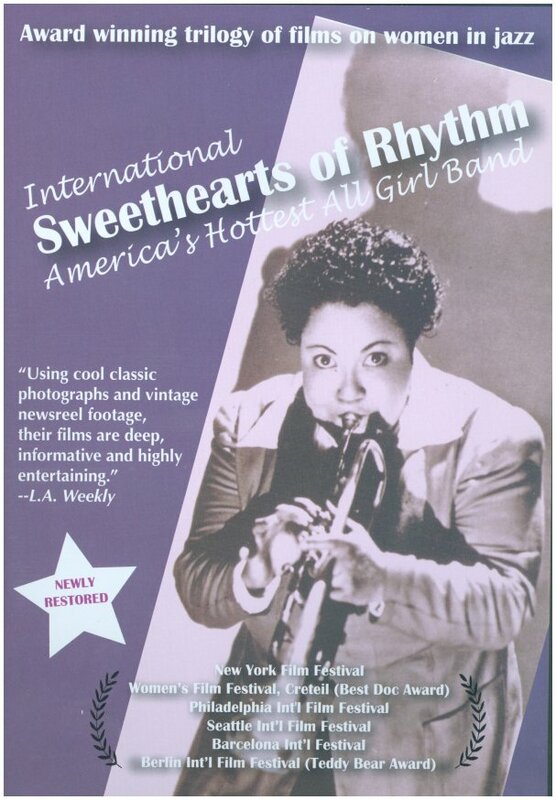 For example, the band International Sweethearts of Rhythm were formed out of a school for black orphans in Mississippi, the Piney Woods School, training their girls to play instruments in an effort to help financially support the school. 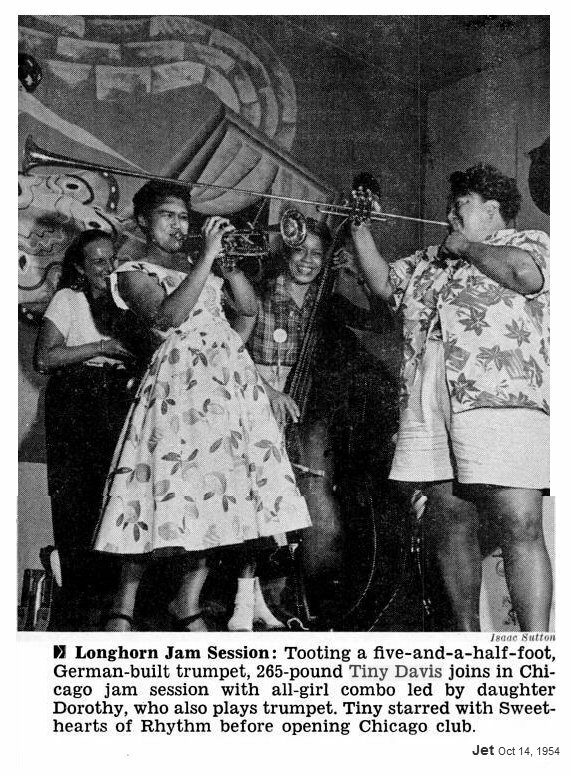 After achieving some national attention the band cut ties with the school and moved to Virginia, and began recruiting some more seasoned professional musicians, including Tiny. 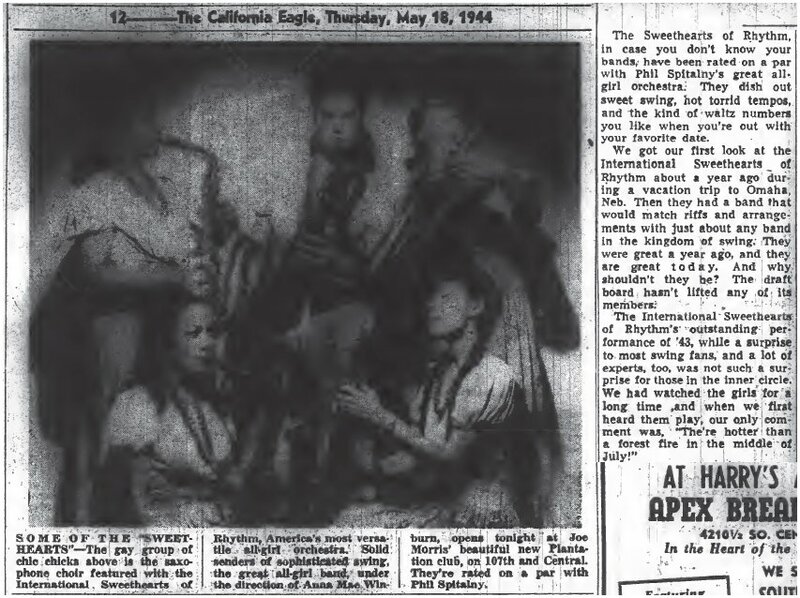 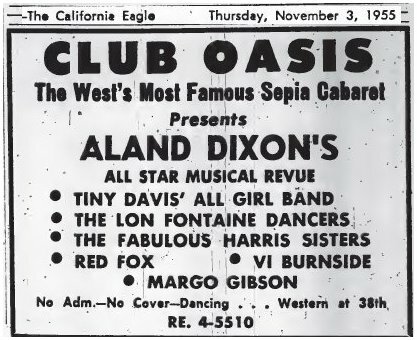 An interesting angle is that not only was this an all-female band, quite unusual in the early 1040's, but that the members were diverse racially (black, Asian, Latina, Indian, etc) which certainly lived up to the International in their name. 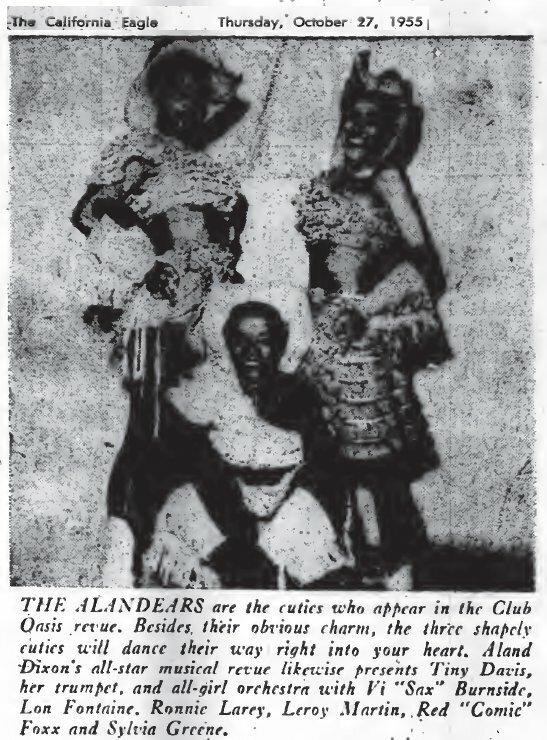 Another interesting aspect was when they performed in the deep south the Caucasian members would have to apply dark make-up when performing to avoid violent racism or being arrested by the police. 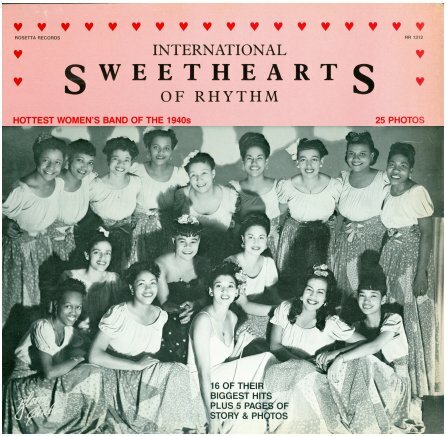 Back to the early 1940's, when the Sweethearts were at their peak a film was even made about them, with fortunately some clips on Youtube. 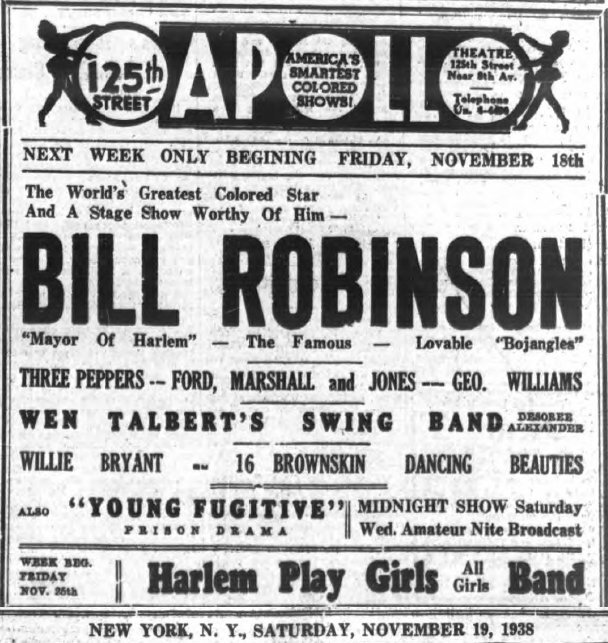 And they could swing! 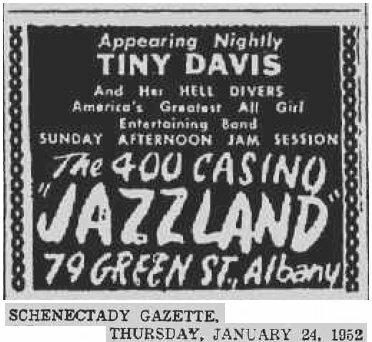 Tiny Davis shows up prominently at the 7:20 mark. 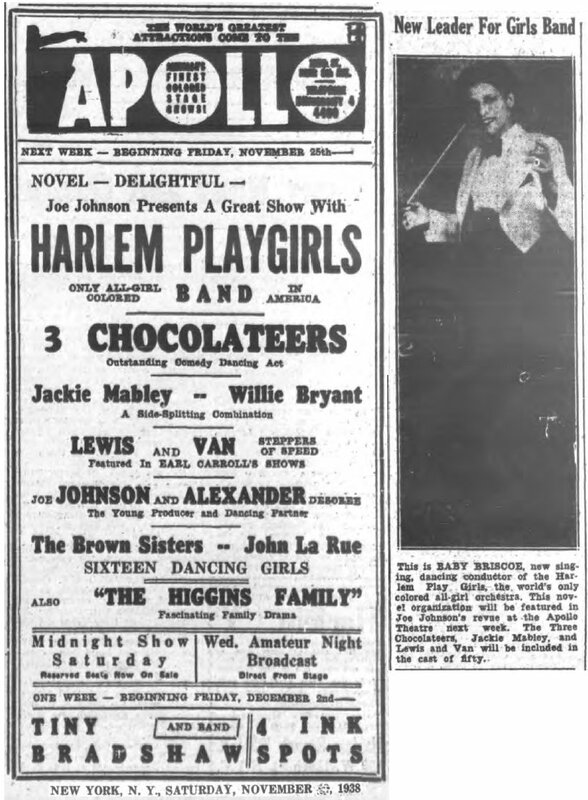 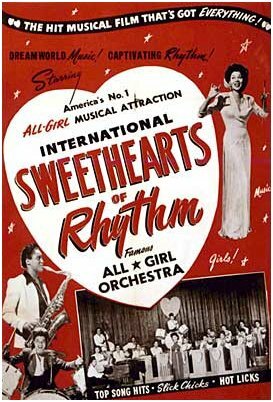 After the war, with the male musicians back home, bookings got harder for the Sweethearts, and they disbanded in 1948. 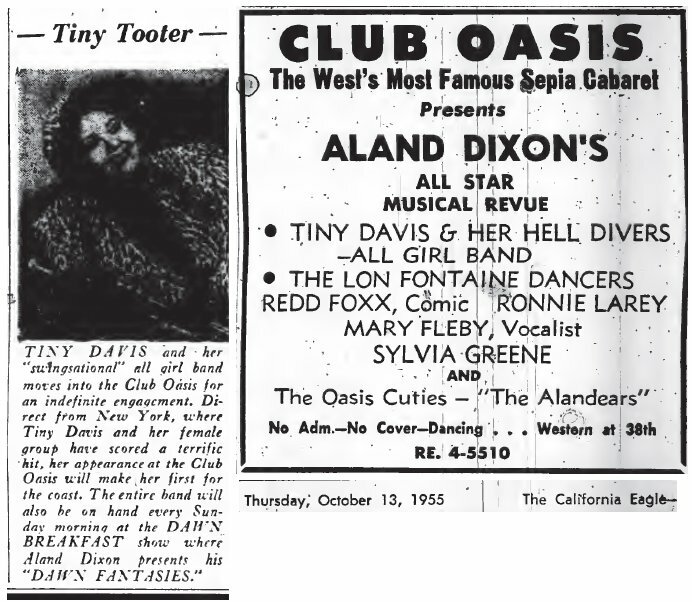 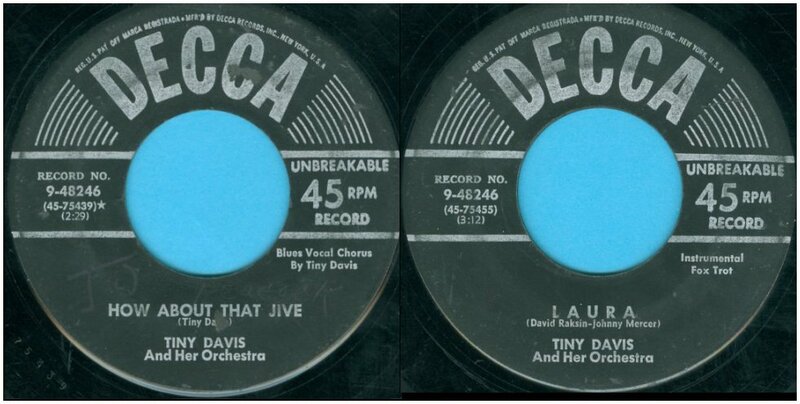 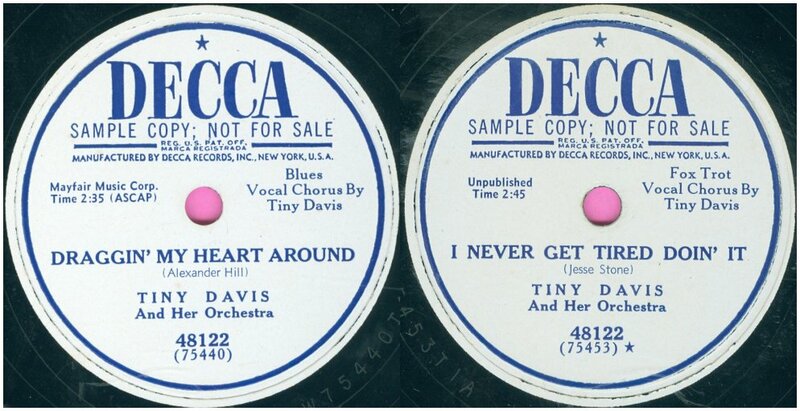 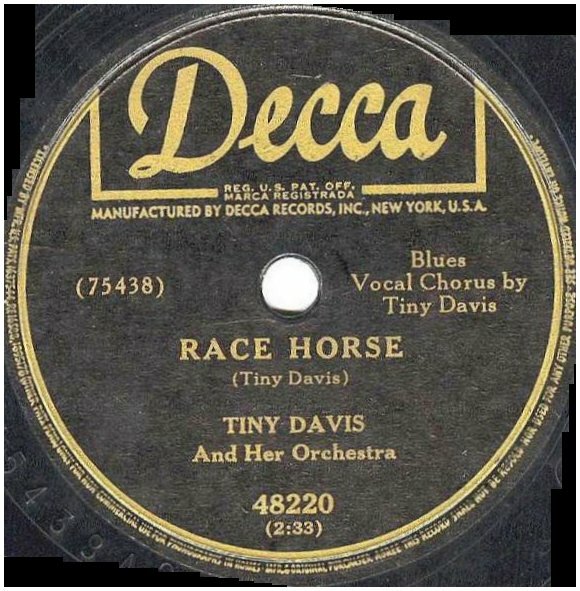 Tiny then went on directly to form her own band, billed as Tiny Davis & the Hell Divers, though the three 78 rpm records she released on Decca, in 1949, were all billed as Tiny Davis & Her Orchestra. 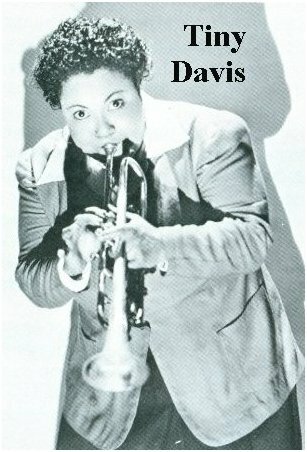 Whatever the name, she got many national bookings. 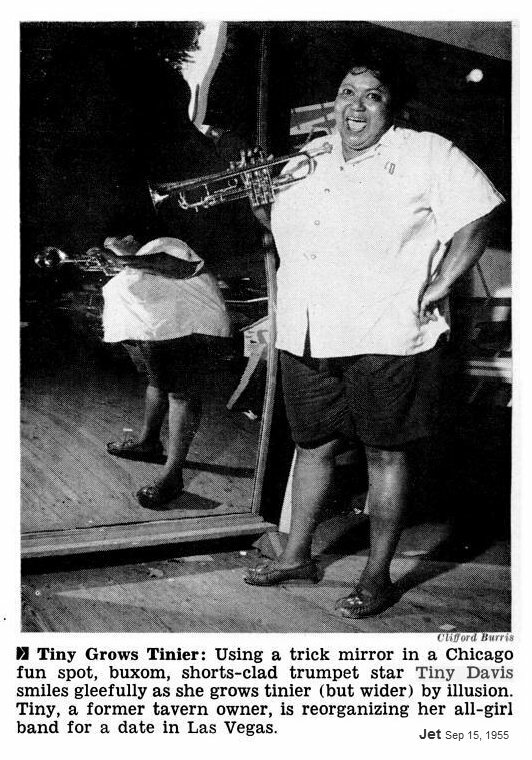 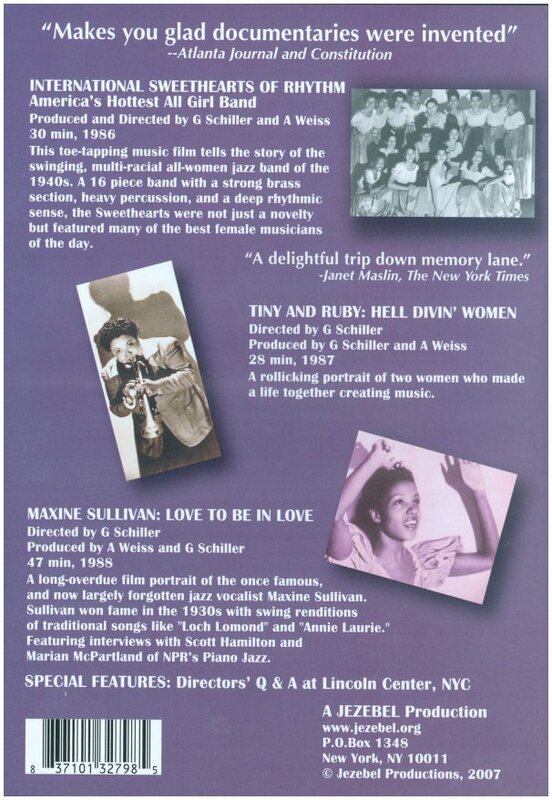 Still, in post-war times work was harder to find for women jazz musicians, so she and Ruby opened their own club, in Chicago, called Tiny & Ruby's Gay Spot, guaranteeing them permanent gigs. 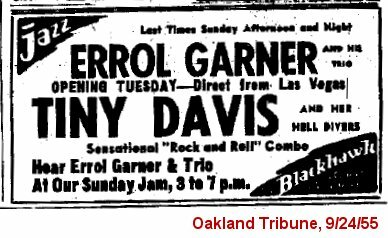 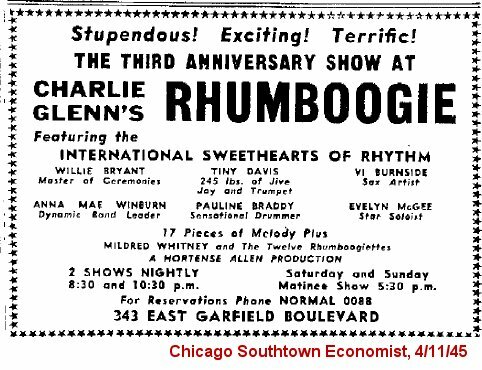 In 1958 the city took over the property to build an expressway and she played other Chicago clubs for awhile, until arthritis sidelined her. 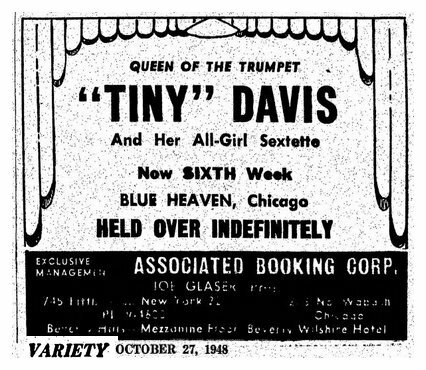 We are fortunate that in 1987 Greta Schiller and Andrea Weiss produced a 28 minute documentary on Tiny Davis, and you can see about seven minutes of it Youtube. 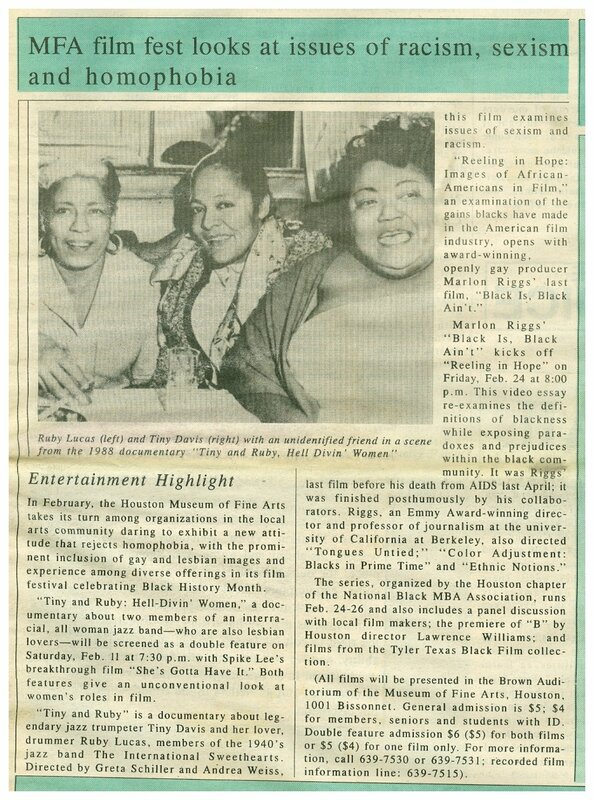 Tiny and Ruby were both interviewed, and Tiny died in 1994.